Good things come to those who wait patiently. I have begged Van Jean’s owner, Melissa Blanchard, to take her incredibly chic SC boutique online for years (for over 2 years, to be exact). Well that up there is my victory stance because she went and did it. 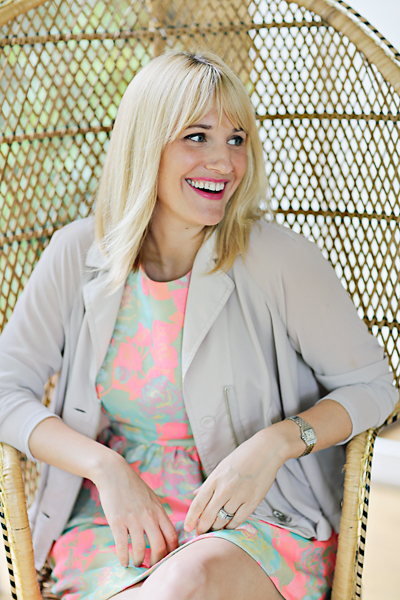 I’m thrilled to introduce you all to a southern style mainstay, Van Jean! And what is in this gorgeous shop you might be wondering? 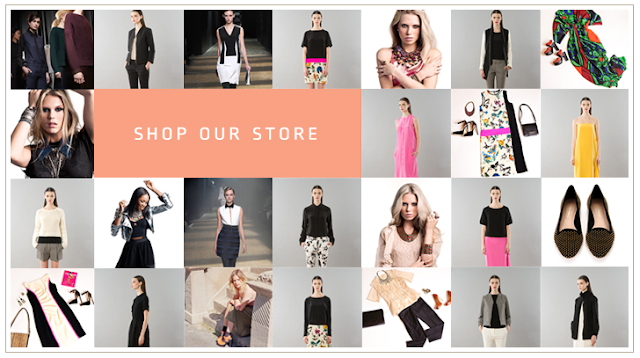 Many of your favorite brands – think Dannijo, Phillip Lim, Tucker, Tibi… It goes on and on and on. This Suno dress that I’m wearing is freaking amazing. Ah-freaking-mazing. I have been eyeing this exact acid rose brocade from Suno’s spring collection, but hadn’t seen this dress anywhere. Van Jean had it! And these Loeffler Randall wedges are the greatest little summer shoe – I love the leopard insole! I wore these at the Summit last week and got compliment after compliment. Please welcome Van Jean into your list of shopping sites! 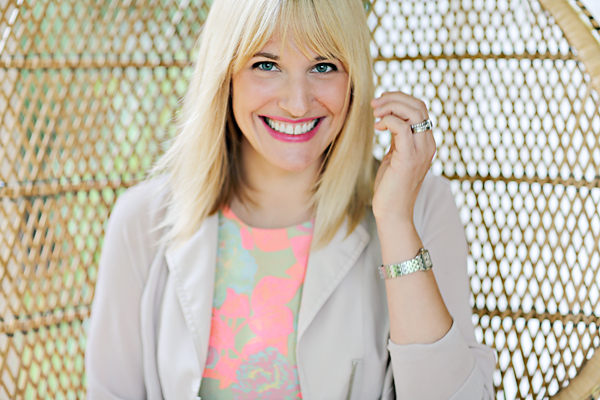 Melissa’s carefully curated collection of designer pieces will knock your socks off! Really. 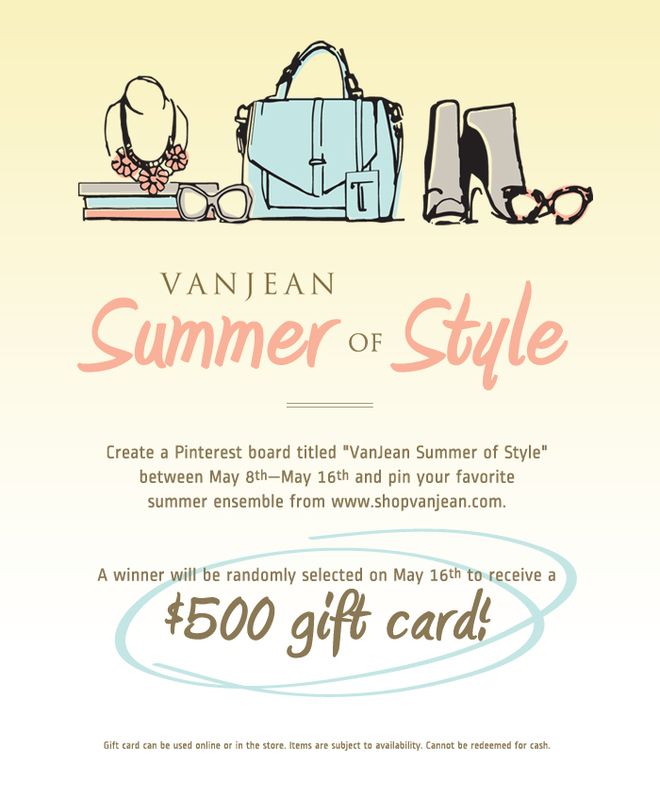 And if you create a pinterest board around Van Jean finds then you just might win a $500 gift card. My Photos by Gray Benko Photography. Wait, I need your closet. Serious, that dress ands how combo – seriously? Love it love it love it. This store looks amaze. Want no need those shoes. And you look adorable in the dress the print is fantastic!! Off to check out this site right now pretty girl! The dress is fabulous!!!! Checking the site out now. wow! 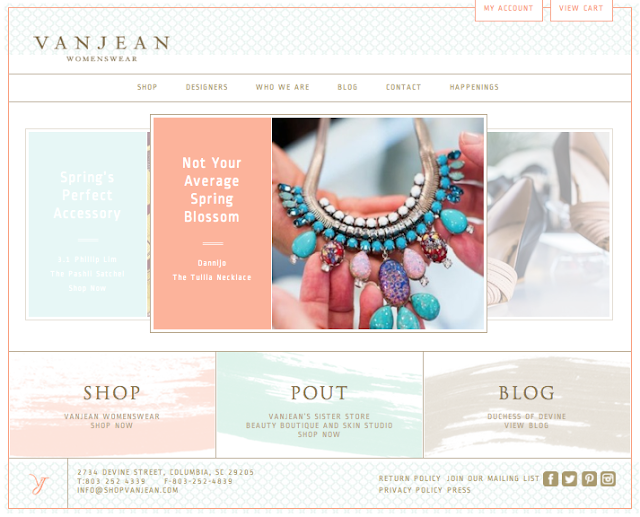 so exciting to hear Vanjean is now online and I can shop these great selections without driving up to Columbia, SC, from Savannah! Tucker, Tibi, and DANNIJO are 3 of my most favorite brands, so this store is right up my alley… and I LOVE your Suno dress! If Van Jean wants to pick me, I’d be super happy! Agree with Nat, the colors of that dress are so great on you. Such pretty photos. Will check out the store. I would LOVE to be chosen. Great products! And thanks everybody. I have an amazing photographer. LOVE that dress! Looks like such a cute shop! Vanjean is bookmarked. I’ll have to hit it up this summer when I visit Charleston! Your dress is reeediculous. Scratch that…. I mean Columbia. I’m clearly too excited about my upcoming vacay to Charleston. Yu look SO beautiful! Need to check out this store asap. You look awesome….and that is super exciting! And this shoes! Ahhh! I love them! Did my Pinterest board and anxiously awaiting the results! hi!!!! I’m been telling Melissa to go online forever! SO glad and Marysia SWIM is on there too now!